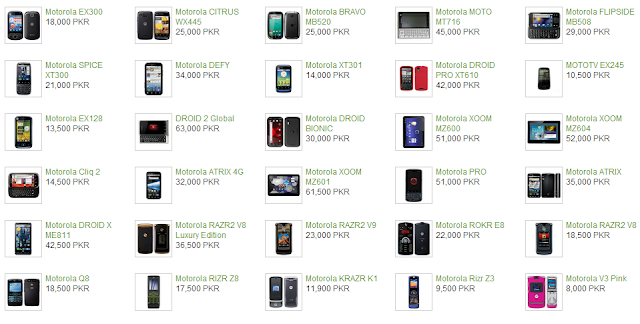 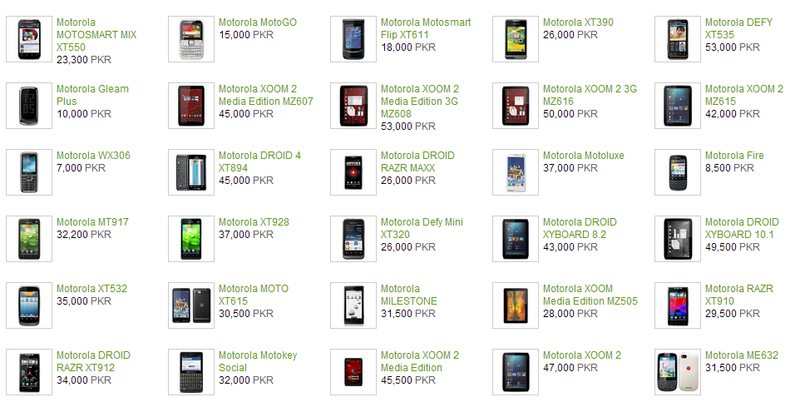 Motorola Mobiles phones is one of the most leading mobile manufacture companies. Motorola exists to invent, build and deliver the best mobile devices on the planet. 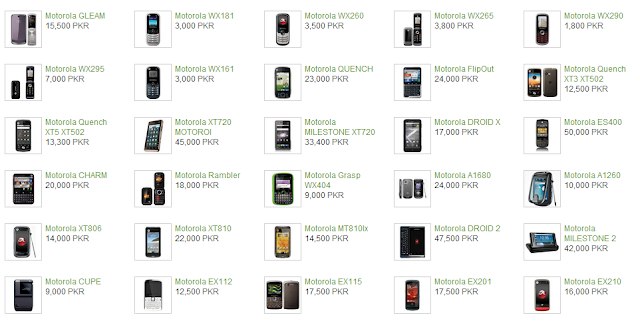 Motorola invented most of the protocols and technologies that make mobile communications possible, including the first mobile phone, the first base station, and most everything in between. Motorola mobile phones are most popular of its designed, it is very good looking and attractive. 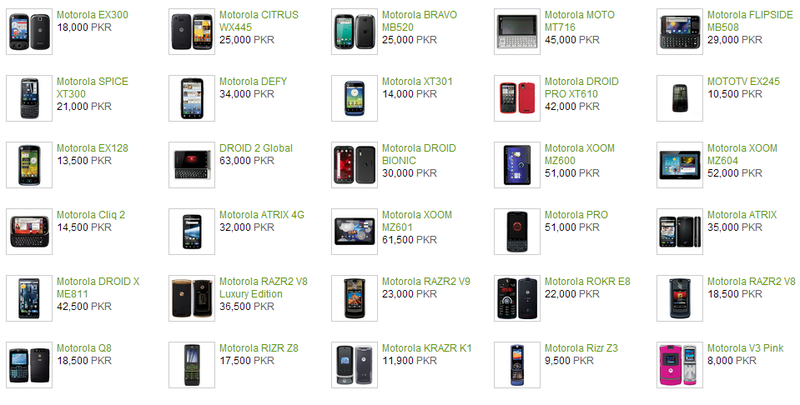 You can find out easily which you want. 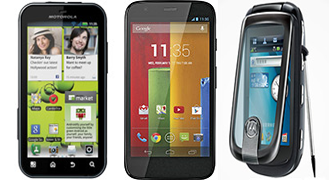 Motorola are combining that pioneering spirit with Google’s vision and commitment to consumers. That’s why Motorola's latest phones run on Android, the world's most popular operating system. 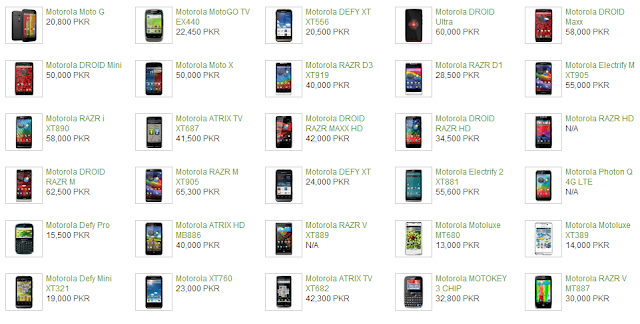 Motorola Moto G, Motorola MotoGO TV, Motorola DEFY XT, Motorola DROID, Motorola DROID Maxx, Motorola DROID Mini, Motorola RAZR D3, Motorola RAZR D1, Motorola Electrity 2 XT881, Motorola Photon Q 4G LTE and many more.